The Wizard’s Guild was attacked and now lies in ruins. The wizards who survived are scattered, Geralt is healing from the wounds he sustained from the attack, and Ciri, who has vanished without a trace, is now rumored to marry the Emperor of Nilfgaard. The inevitable war has begun and the surviving wizards are doing everything in their powers to protect the land and the magic flowing within it. The only one who can possibly save the land and stop the war is Ciri and Geralt is doing everything he can to speed up the healing process so he can go out and find her before it is too late. 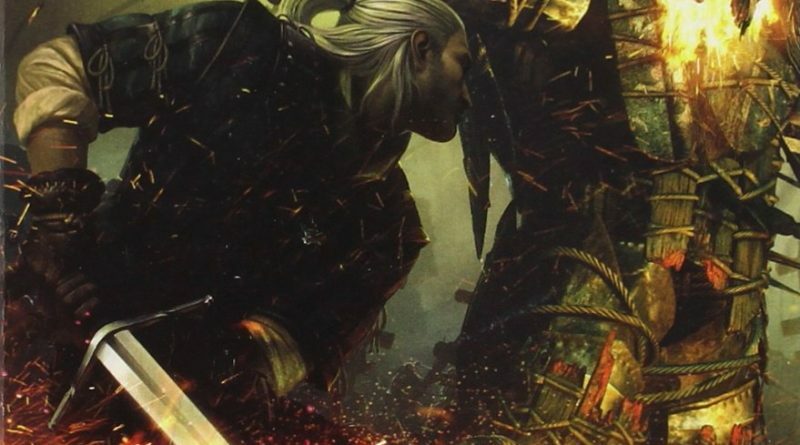 The action, humor, and fantastical storytelling that was on hiatus in The Time of Contempt is back and better than ever in Baptism of Fire, the third installment of Sapkowski’s The Witcher series. With minimal attention given to the politics of the world, the story contains the fantasy aspects that were found in Blood of Elves and The Last Wish. 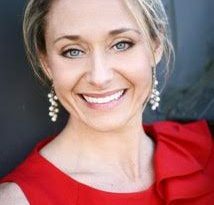 Old characters return and continue to develop while new memorable ones are introduced to the readers. Monsters are not as abundant in this story as in the past few stories, but new ones are introduced, including a well-known monster from legend. The characters are already very likeable in the first books of The Witcher series and even more so in Baptism of Fire. Despite his injuries, Geralt is his same, rugged, heroic self and wishes to set out to find Ciri, knowing full well the rumors of her preparing to marry the Emperor of Nilfgaard are lies. While reading, it is difficult to remember that Geralt is injured for he doesn’t act like he is, but that could be him putting on a tough-guy act. Ciri’s character has developed into a very interesting and complex one, her change starting towards the end of The Time of Contempt and continuing on into this next installment. Ciri finds herself with a band of thieves and changes who she is into someone they want her to be, almost as if she has lost herself. 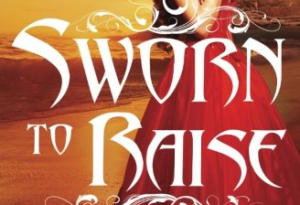 It is difficult for readers to decide whether this new Ciri is one they will want to see more of. The new characters introduced accompany Geralt on his journey to find Ciri and they are quite the group: a witcher, a troubadour, a gnome, a half-elf, and a few dwarves. This group of fantasy misfits provides endless action and entertainment for the readers and almost acts like the group of galactic misfits in Guardians of the Galaxy. Having all of these characters travel with Geralt is a wonderful skill Sapkowski uses to help develop the witcher’s personality. He is a fighter who works alone and, having all of these characters traveling with him actually irritates him for he feels responsible for all of their safety and he doesn’t want any of them getting hurt. It is an excellent way for him to learn to trust others and that he does not have to always fight alone. Another great addition to the ever-increasing character lineup for The Witcher series is the aforementioned monster of legend: a vampire. Thankfully, Sapkowski was merciful to the readers and made him a traditional vampire (not the sparkly/ angsty/ creepy/ teenage vampires of today). He is old and wise and yet, Sapkowski managed to use his never ceasing humor on his vampire creation. Like a bird that is afraid of heights or a fish that can’t swim, Sapkowski has created a vampire who, after drinking blood, becomes intoxicated. Once, a long time ago, this vampire drank too much and decided to fly “under the influence.” He crashed into a well in a village and was then torn apart by the villagers. After spending fifty years buried underground, he decides to pull himself together… literally… and sobers up, vowing to not drink human blood again. This is Sapkowski at his finest with his gift of imaginative storytelling: pure fantasy comic genius. The war is only just beginning and there aren’t very many battle sequences in the story, but Baptism of Fire really focuses more on character development, introducing new characters that will more than likely play a larger role in future books in the series, and building more of the fantasy world Sapkowski originally started with. 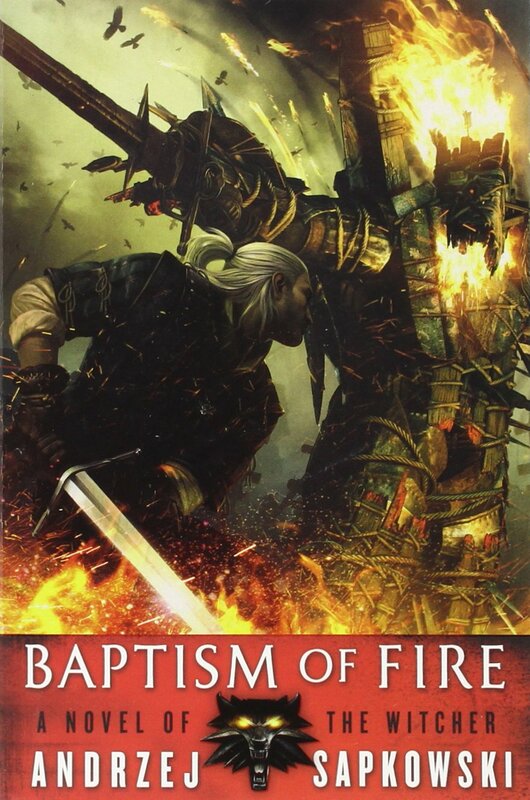 The chapters are just as long as the previous books; however, Sapkowski has held back on repeating the title for Baptism of Fire than he did for Blood of Elves and The Time of Contempt. 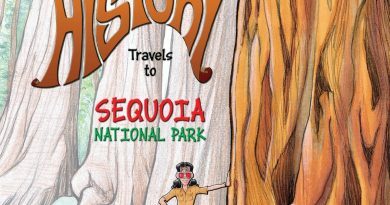 Fantasy, adventure, and humor are found throughout the book’s entirety and the story gains much more depth than its predecessors. The adventures of the Witcher press ever onward and will continue in the spring of 2016 with the release of The Tower of Swallows.